In my experience, 99 per cent of people in leadership roles don’t take notes. What’s more, males are less likely to take notes than their female counterparts. I recently met with 30 chief executives for a dinner-table conversation about closing the gender gap. We discussed how men can counteract bias in the workplace by speaking up and championing their female colleagues. It was a wonderfully eye-opening discussion, full of valuable insights; yet I was the only person who took notes the entire time – and boy did I take notes, I ran out of white space and had to write over my notes, my hotel notepad, my report and even my name tag! Sheryl Sandberg, Facebook’s chief operating officer and the founder of LeanIn.Org, expressed her surprise over my note-taking in this excellent piece about women in the workplace co-written with Adam Grant. Sheryl is putting together a series on the subject on LinkedIn too, I’m looking forward to getting involved. Back in our meeting, conversation came around to the subject of women being more likely to be note takers in meetings, because there is an unfair expectation on them to do support work. In other words as a society we expect the office housework to fall to a woman. Not only is this unfair to women, but it’s also disadvantageous to men. It’s time for men to step up and do their share of support work. On top of counteracting gender bias in the work force, it will also give men a better understanding of what going on within the business and what needs to be done to make things run more effectively. Mentoring, training and note taking – these are wonderful development areas, which everyone, men and women alike, can greatly benefit from. Note taking is one of my favourite pastimes. I can’t tell you where I’d be if I hadn’t had a pen on hand to write down my ideas (or more importantly, other people's) as soon as they came to me. Some of Virgin’s most successful companies have been born from random moments – if we hadn't opened our notebooks, they would never have happened. No matter how big, small, simple or complex an idea is, get it in writing. But don’t just take notes for the sake of taking notes, go through your ideas and turn them into actionable and measurable goals. 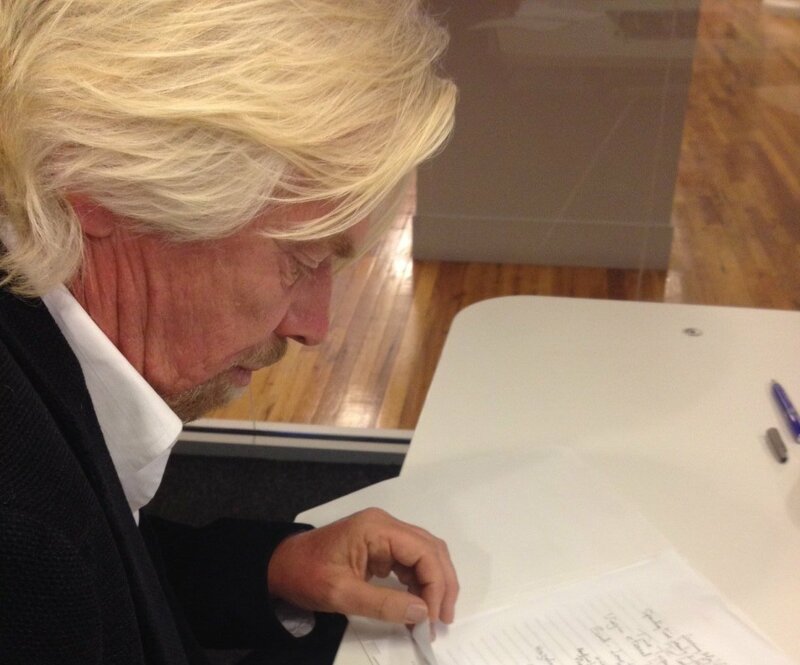 If you don’t write your ideas down, they could leave your head before you even leave the room. To counteract the gender bias, men shouldn’t take over the note taking from women, everyone should be taking notes!